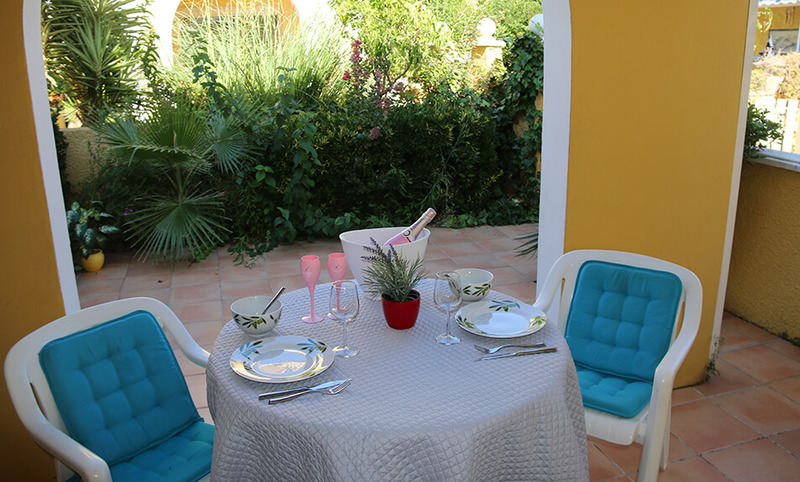 La Palmeraie Gardens is a quiet place, within a cocoon of greenery and oleanders, at 700 meters from the naturist beach and at 200 meters from the marina. Villas consist from 2 to 3 rooms and offer a lot of intimacy. You will feel at home. 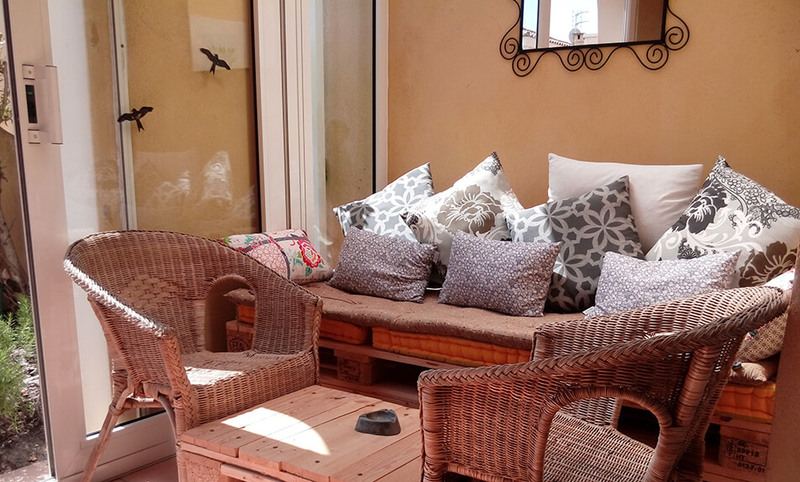 These air-conditioned villas welcome you all year round with their shaded terrace and their barbecue. From April to September, bar access, breakfast, swimming pool and spa at the Eve Hotel. Villas with air-conditioned for 4 to 6 people have two rooms separated in the 1st floor with queen size bed, a fully-equipped kitchen, a terrace, a bathroom and a shower room and two restrooms. 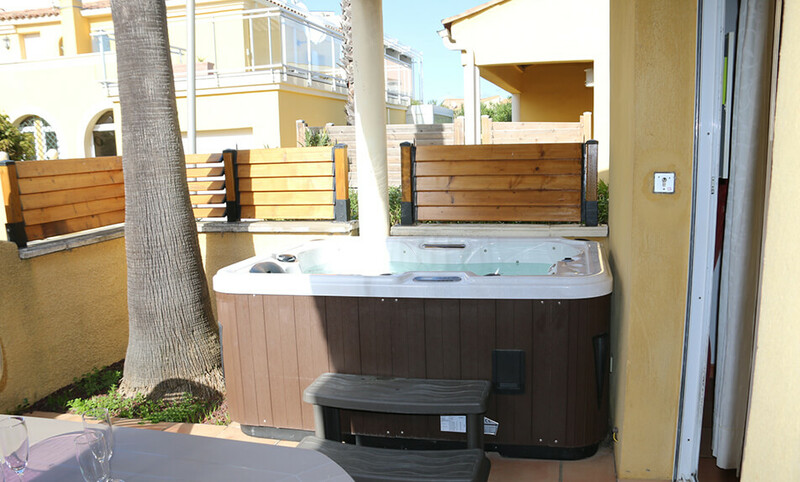 Villas with air-conditioning for 4 to 6 people have one to two separated bedrooms with a queen size bed, a bathroom and a shower-room, a fully-equipped kitchen and a terrace.